27/691 Private W.H. 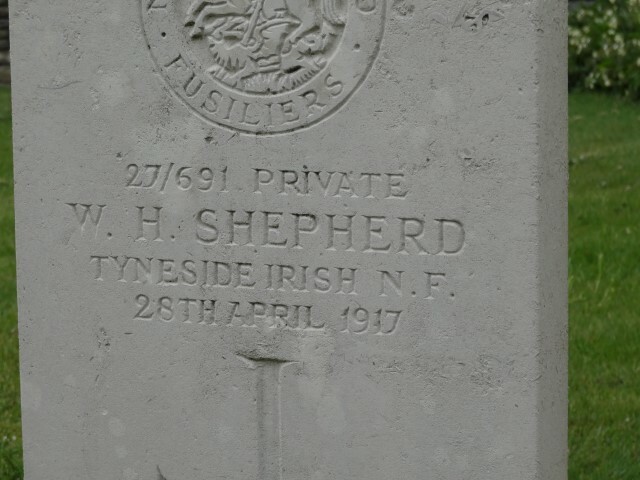 Shepherd, 27th Battalion (Tyneside Irish) Northumberland Fusiliers was killed in action 28 April 1917 and is buried at Fampoux British Cemetery, east of Arras, France. He was about 34 years old and is commemorated on the St. Helens Colliery Memorial Cottages and on the War Memorial in St. Andrew’s churchyard, South Church, Bishop Auckland. 28 April: the 27/Northumberland Fusiliers lost 4 officers and 42 other ranks, one being Private W.H. Shepherd killed in action and another 4 other ranks died between then and the end of the month. 27/691 Private W.H. 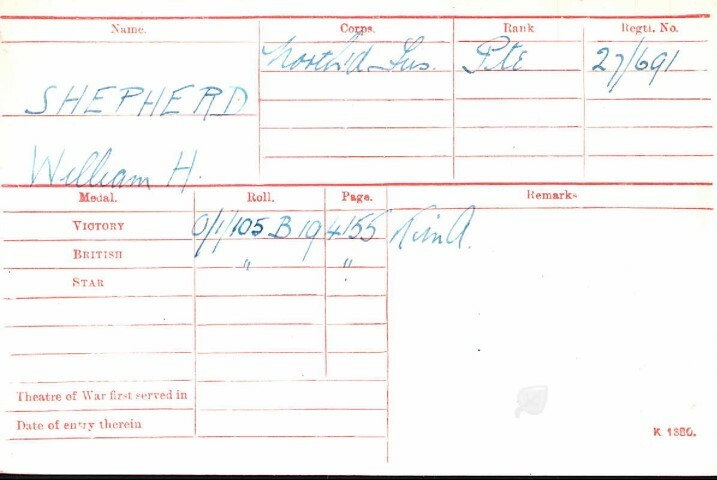 Shepherd is buried at grave reference B.33, Fampoux British Cemetery, near Arras.